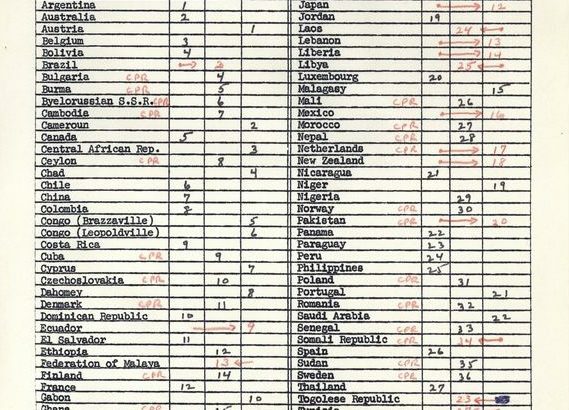 The National Security Files (NSF) is one of the most popular collections requested by researchers at the John F. Kennedy Presidential Library. A rich collection, the NSF is a sub-file of the Presidential Papers of John F. Kennedy and the working files of McGeorge Bundy, Special Assistant to the President for National Security Affairs. The Subjects series of the NSF was recently digitized and is now available online via the Kennedy Library’s website here. 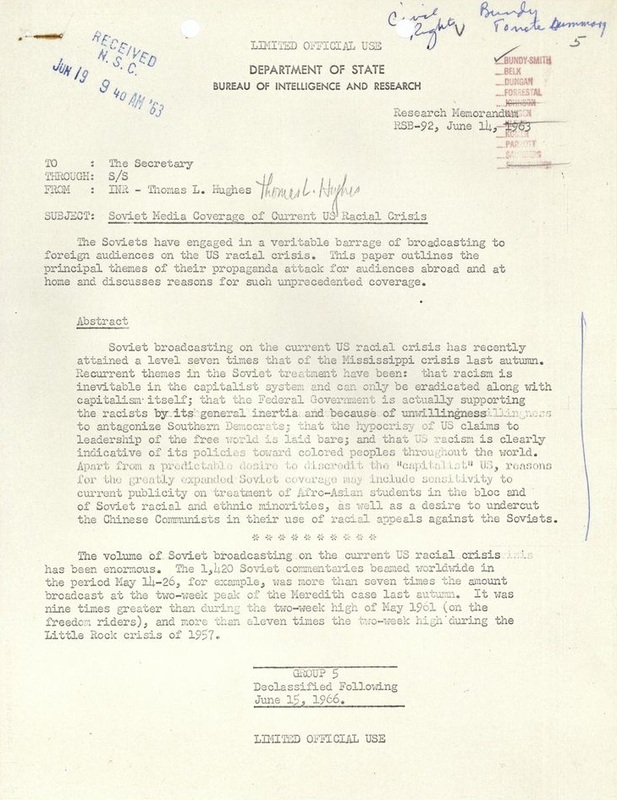 Page one of a memorandum regarding the Soviet Union’s media coverage of civil rights in the United States. View the rest of the memorandum here. 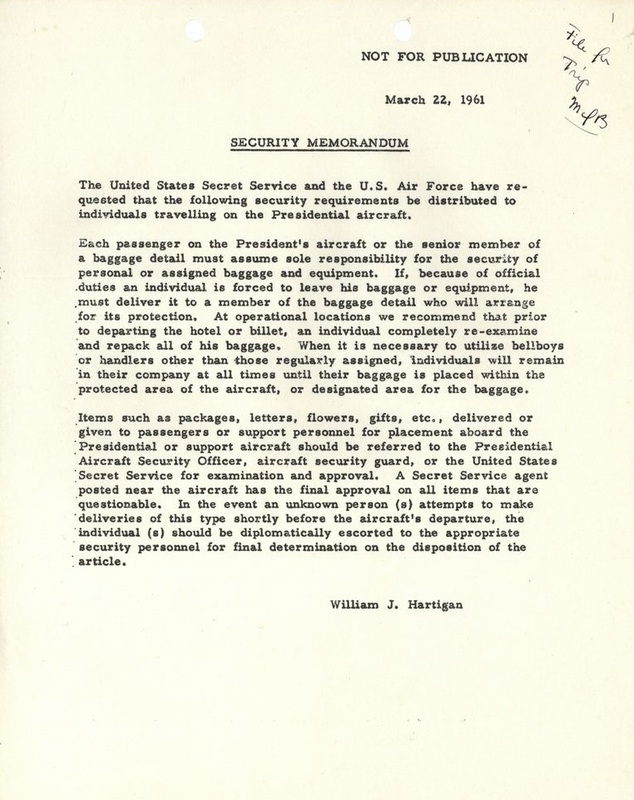 A memorandum on security protocol for people traveling with President Kennedy. View digitized folder of material here. 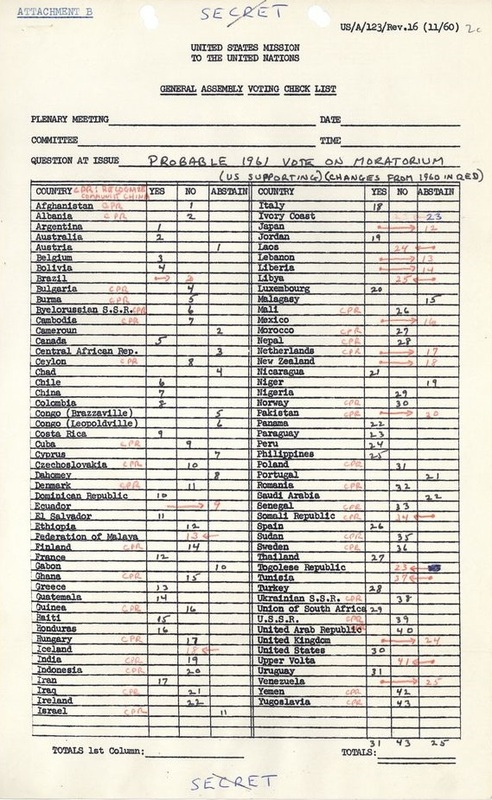 Probable votes on a moratorium against recognizing Communist China in the United Nations. View digitized folder of material here.